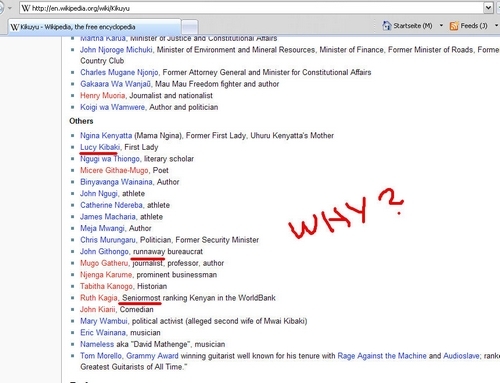 Ok ok, while I can perfectly attribute this “seniormost” to the peculiar psyche of some folks out there, why-o-why is Githongo labeled as “runnaway bureaucrat” on the English page of “Kikuyu” @ Wikipedia? & Tom Morello? who knew!